You may have seen Les Misérables before, but you’ve never seen it like this! The Tony Award-winning musical phenomenon is back with all new staging and dazzlingly reimagined scenery inspired by the paintings of Victor Hugo. 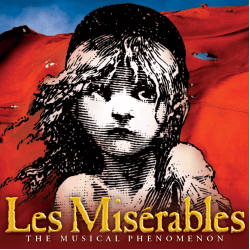 Now in its 32nd year, Les Misérables has been seen by more than 70 million people in 44 countries and in 22 languages, making it the world’s most popular musical! Set against the backdrop of 19th-century France, Les Misérables tells an enthralling story of broken dreams and unrequited love, passion, sacrifice and redemption. Featuring beloved songs like “I Dreamed A Dream,” “On My Own,” and “One Day More,” this epic and uplifting story has become one of the most celebrated musicals in theatrical history. We also have amazing properties waiting for you near the Fabulous Fox, in the heart of Midtown!